2 by 3 Heroes: Sunday SIL: I've been framed! Love them or hate them. Deal with the possibility a fair amount of them may be fake. Accept that while they are called "game used", they are really more event used, or even used who the heck know when, relics are a part of the hobby. While I remember the first autograph I ever pulled from a pack of cards (Jose Vidro), I can't recall the first relic I ever pulled. It just wasn't that memorable an experience. I have pulled a ton since. Some are really nice, and others....well....um.... they do have a piece of material or wood on them, right?? The only classic relic cards I own are a couple bat relics, one of Al Kaline and the other of Nellie Fox, and a jersey of Griffey Sr. (which I display on my wall with a jersey of his son). But I really love the relics put out in Allen and Ginter. Not just because of the mini, but because of the frame. Topps seemed to take the time to understand the older A&G cards, and not only did they do the card design well, but they made the framessurrounding the relics and autographs a homage to the Ginter of old. Just go to eBay and search Ginter N4 or Ginter N5 and you'll see what I mean. 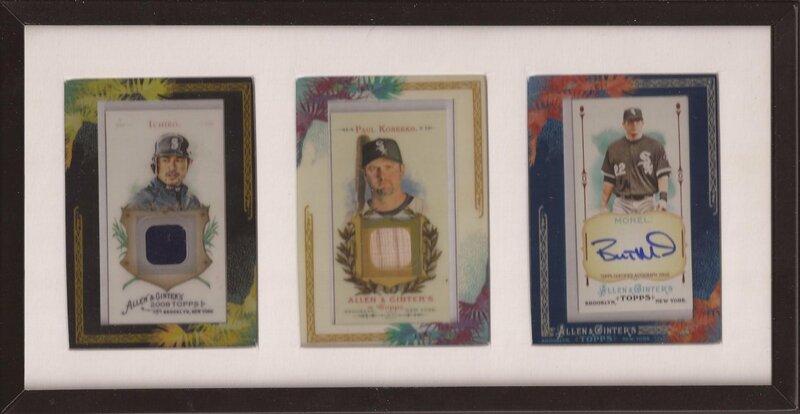 The frames, prior to 2012, really captured the beauty of the tobacco cards. As with other of my favorite relics, I hang 3 A&G cards on my wall. As you can see, we have an Ichiro jersey from 2008, a Konero bat from 2007 and a Morel autograph from 2011. Three beautiful framed relics.... in a frame. 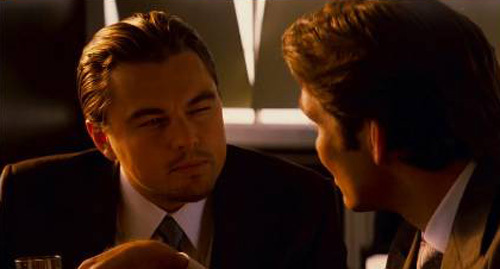 If I squint like this, it appears to be six cards. I am fortunate to have a relic from each year of A&G.....but one. 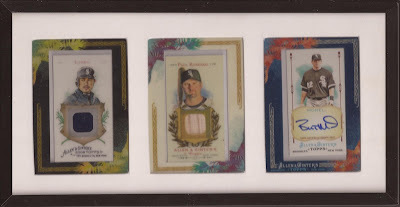 I own no 2006 Ginter frames. Maybe someone has a White Sox framed mini they would love to part with??? (Hint Hint). And maybe I just updated my trade bait page? And maybe.....just maybe, I would be more than willing to do a two for one swap, or even a 3 for 1 swap, to get my hands on a 2006 White Sox relic? Fun fact: Dave Grohl knew Kurt Cobain before he was famous.